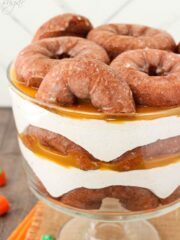 This Pumpkin Spice Donut Cheesecake Trifle is so fun for fall! 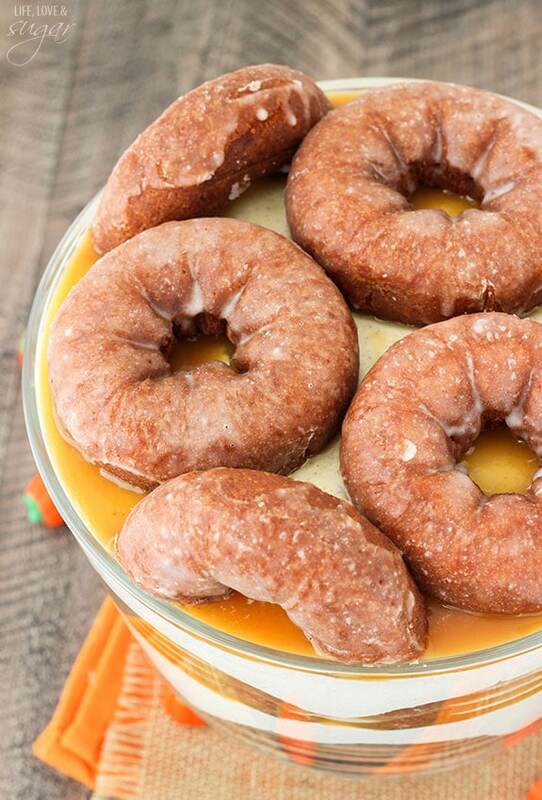 Made with Pumpkin Spice Donuts from Dunkin’ Donuts, it’s super easy to put together and was a big hit! You know the stuff I’m talking about. Funnel cakes, fried oreos (so good, by the way!) and a tower of sliced fries covered in cheese and bacon. That’s the stuff that adult dreams are made of kids. Good, outrageously awesome food. I figure this trifle is somewhat similar in it’s outrageous nature. 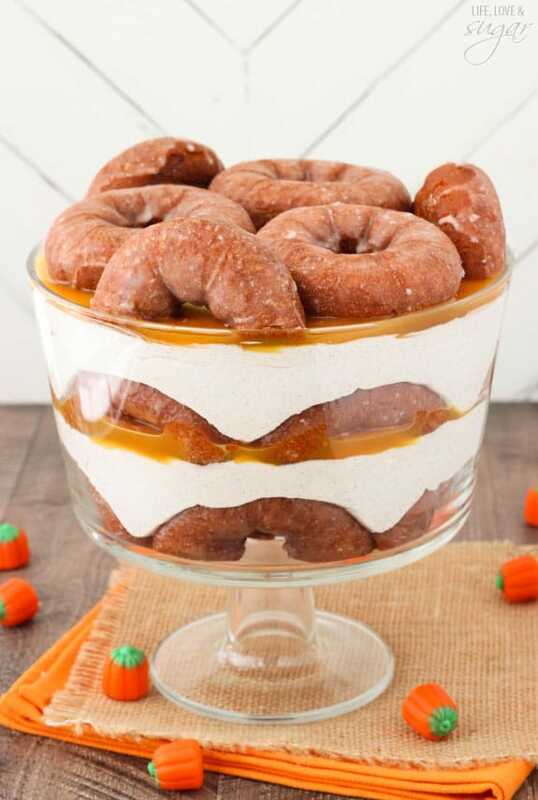 I mean, it’s layered with donuts. Legit, full on donuts. 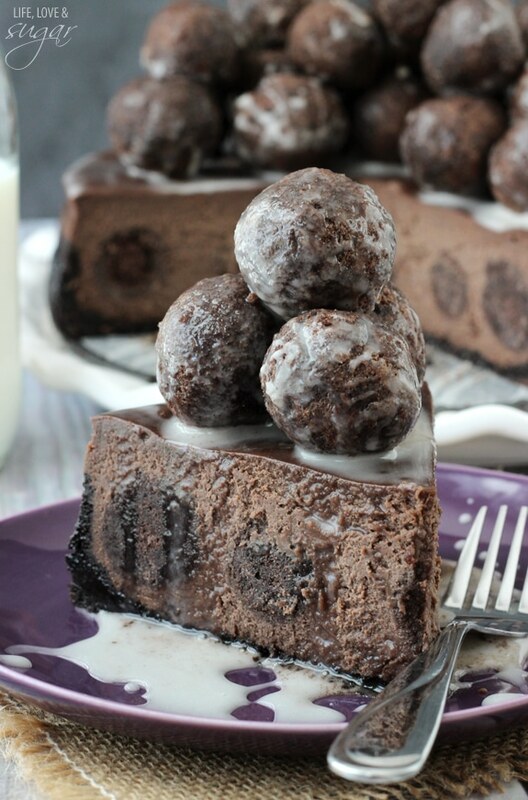 It’s basically breakfast in dessert form. Kind of like breakfast for dinner. See, the hubs decided one morning that he wanted to make a spontaneous trip to Dunkin’ Donuts, which is a solid 20 minutes away. I don’t know about you, but that’s a somewhat long drive for a donut. However, he seemed so excited about it that I couldn’t say no. So we hopped in the car and off we went. Of course I knew as soon as we got there and I saw the sign for the pumpkin donuts that I had to have one. Then in true food blogger fashion I immediately started brainstorming things I could make with them. And so this trifle came to be! 1. 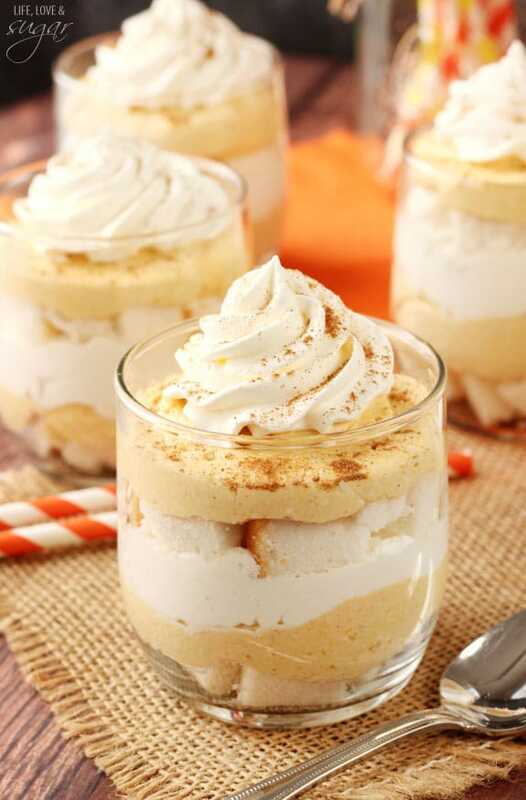 In a medium bowl, combine pudding mix and milk according to pudding package instructions. Set aside. 2. In a large bowl, beat cream cheese, pumpkin pie spice and ground cinnamon until smooth. 3. Fold pudding into cream cheese. 4. Fold in 8 oz of Cool Whip (or homemade whipped cream). 5. 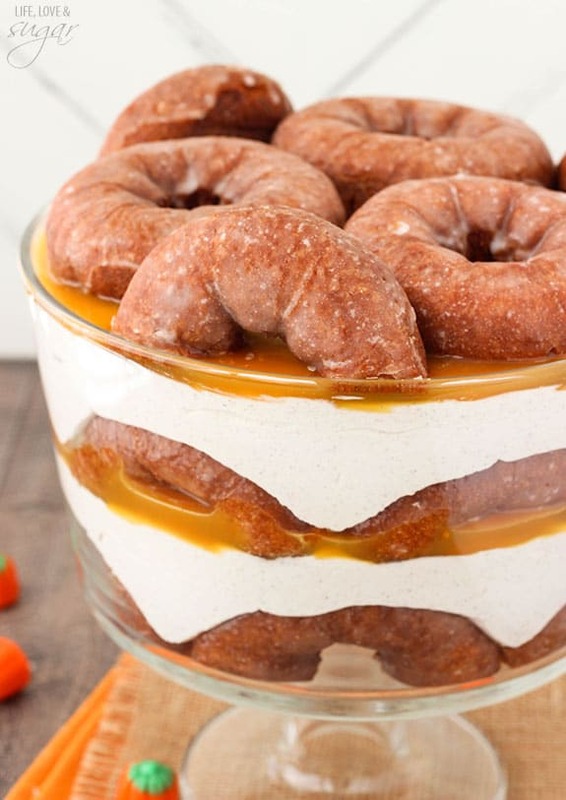 In a large trifle dish, place donut halves around the edge of the dish. You’ll use 3-4 donuts. 6. Break up another 2-3 donuts to make an even layer. 7. 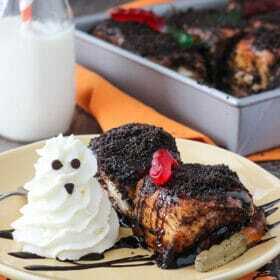 Top donut layer with half of cream cheese mixture. 8. 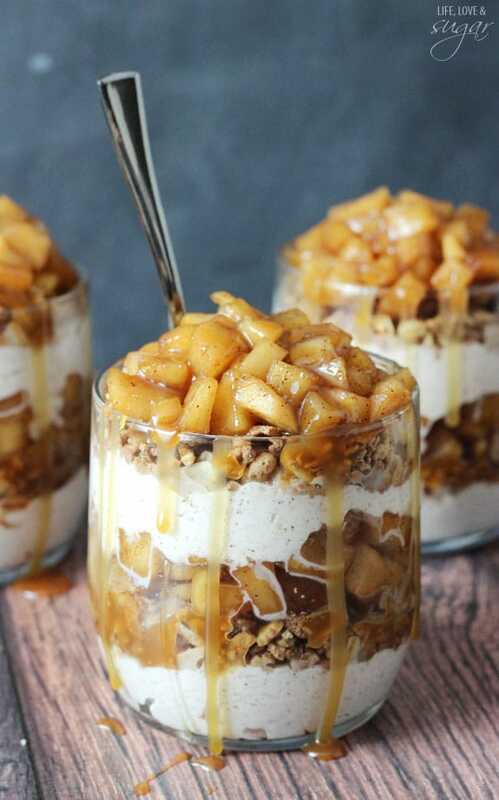 Top cream cheese mixture with 1/4 a cup of caramel sauce. 9. 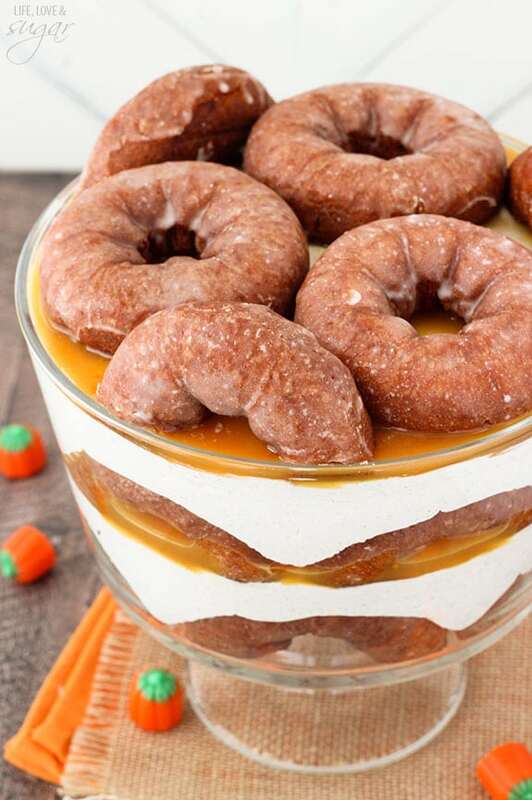 Repeat steps 5-8, then finish off trifle with a few more pumpkin spice donuts for decoration. 10. Refrigerate until firm and ready to serve, at least 4 hours. Can be made the night before and refrigerated overnight. 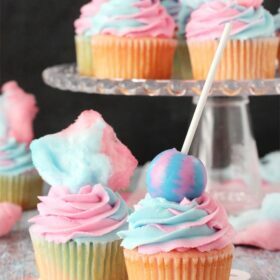 Oh my goodness, I want to dive right into this NOW!!! 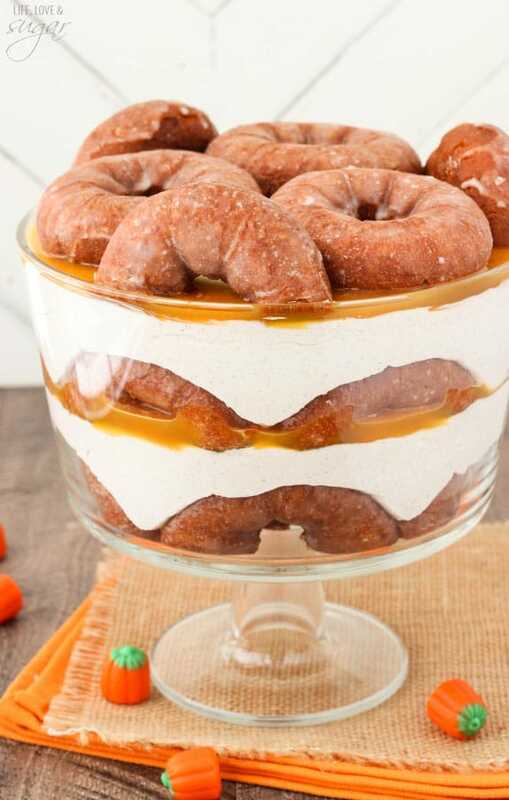 It’s absolutely amazing, what a genius way to use donuts!! This is ridic! What a creative idea! Whoa, girlfriend. I thought America was all about the cronut, but you’ve once again taken it somewhere that puts all that to shame! 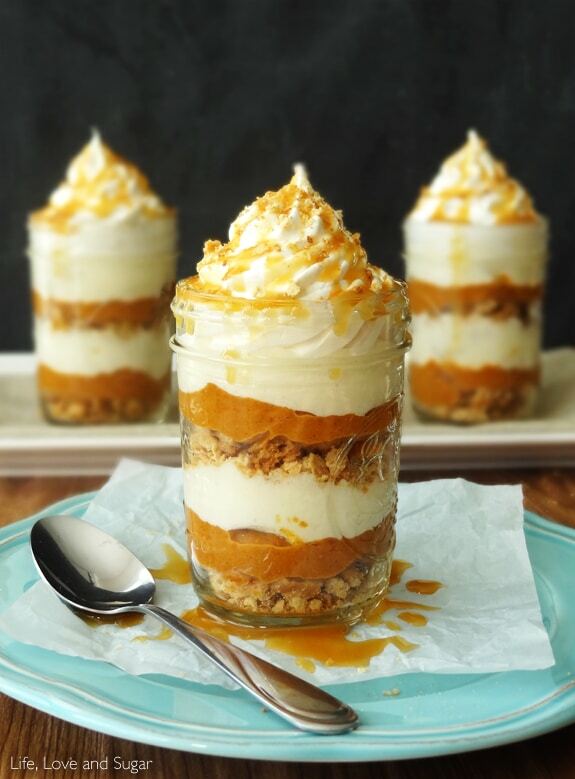 I think I did a triple-take when I saw this trifle. 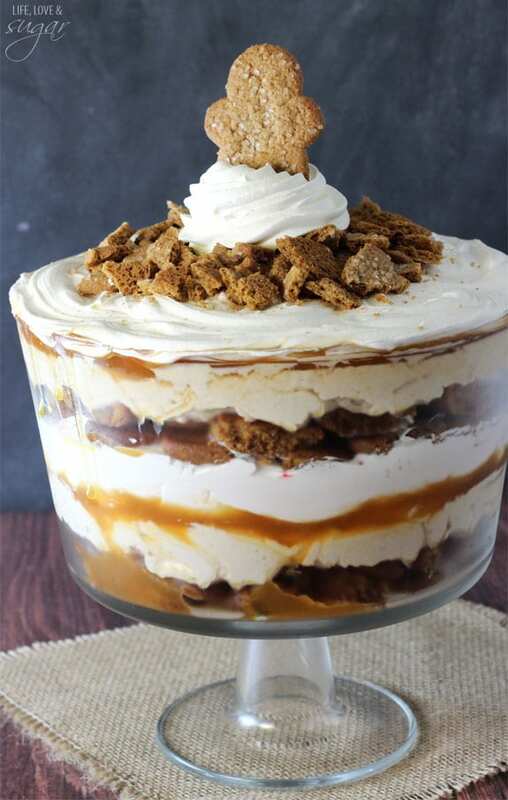 I have NEVER seen a trifle like this before. And now I have yet another layer of awe for what you do! Wow! This is so creative. As soon as I saw I knew I had to come over for the recipe!